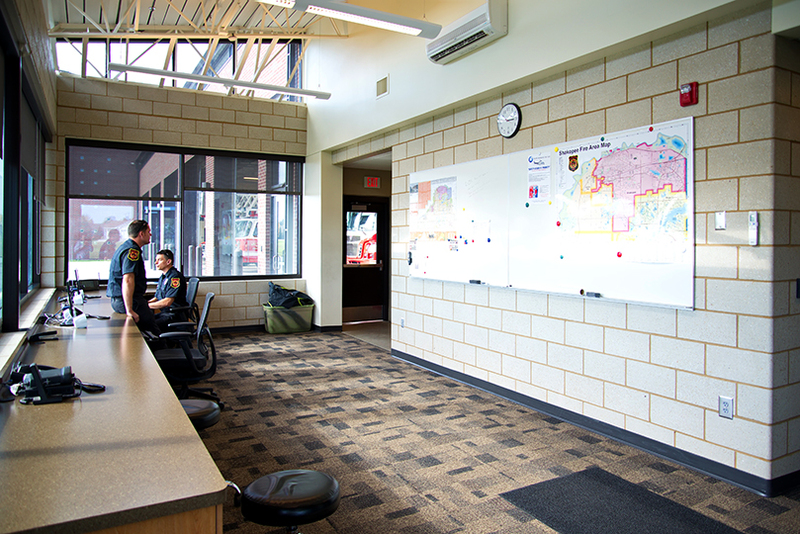 Shakopee Fire Station #2 — OERTEL ARCHITECTS, LTD. This project started as a facility study to program and plan a new station in the City of Shakopee. The plan for the future Fire Station was designed as a ‘prototype’ model which can be used at two different sites, based on immediate and future needs. The dispatch area has a clear view of the vehicles exiting the Apparatus Bay, which was critical to pedestrian safety as the site is surrounded by a park.